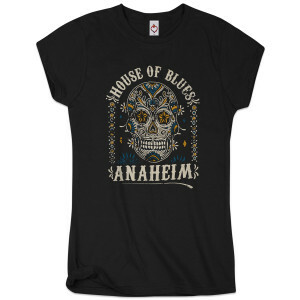 This women’s black tee fits like a well-loved favorite, featuring a slim feminine fit, short sleeves and designed high-end cotton. Refreshing a proven best seller, this updated Sugar skull is more authentic with hand painted imagery. Interchangeable city drops across all locations.